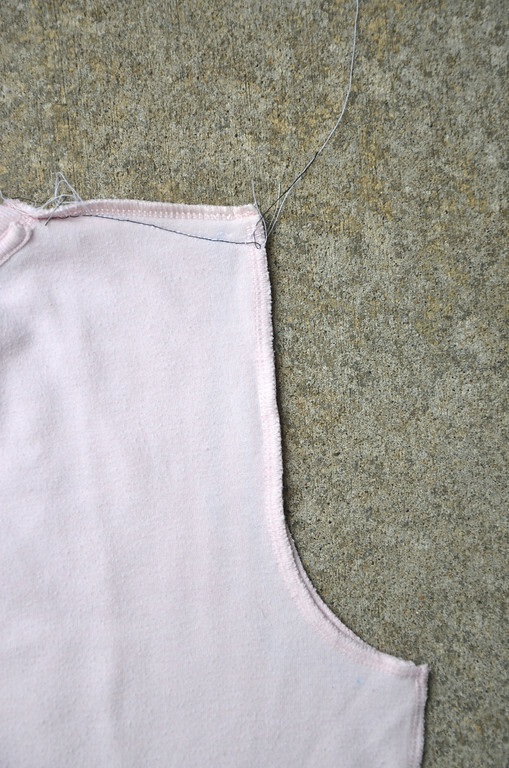 Sometimes a single technique is insufficient to change the fit in a particular area of a garment. In such cases, a combination of techniques may be used. The alteration of a much-too-loose skirt by sewing in the side seams and adding darts that we discussed in the previous post is an example. 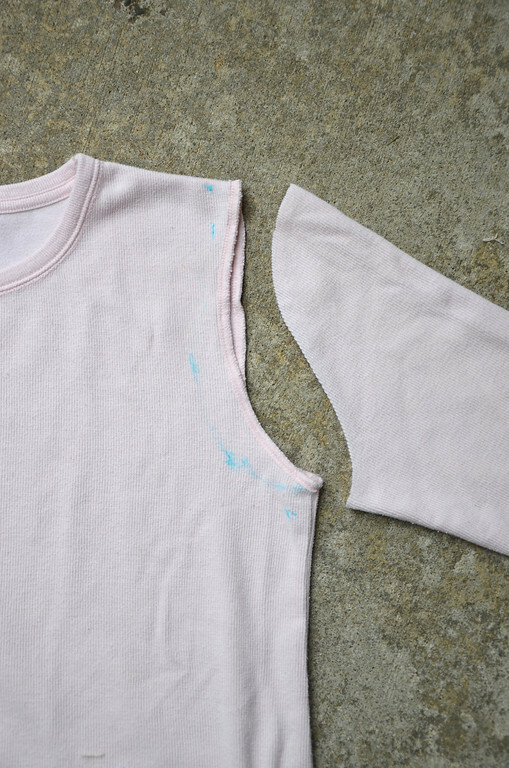 Today we'll look at a horrible armsyce-sleeve fit and what we had to do to improve it. Here is a long-sleeved T shirt I bought some years back. Right in the fitting room, I knew the armscye/sleeve cap was hideous, but the chest fit- sorta. Because I had a small, nursing infant in my life (read: I didn't leave the house much), I had low standards when it came to shopping - if a garment fit somewhere (anywhere!) about my person and wasn't expensive, I'd buy it and wear sweaters over it. Even worse than that reasoning was my convincing myself to buy three of those same unfitting garments, in different colors. Over the following months, though, I flinched every time I saw, in the mirror, me wearing those shirts. This year I decided that I'd finally had enough - those sleeves had to change. 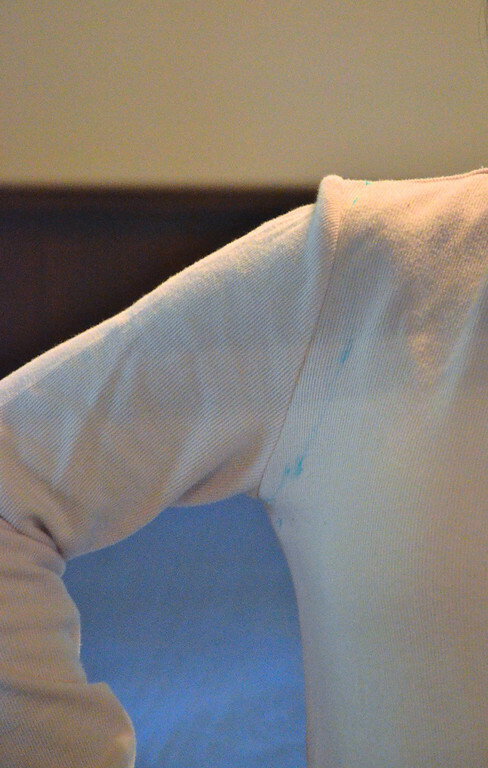 This is picture of the armscye/sleeve cap, with fabric marker slashes all around it. They weren't necessarily accurate repositioning lines - more like frustration-venting fabric graffiti. All wrong. How I hate thee! Shall we count the ways? the sleeve cap is too high but narrow etc. Without thinking it through, one might consider just sewing in the armscye, thus simultaneously taking in ease all around the armscye and sleeve cap. Fast, but not the best way. For one, the armscye would become even larger, and the sleeve cap would get even narrower. A better way would be to realign the armscye seam completely. First, I unpicked the sleeve completely. 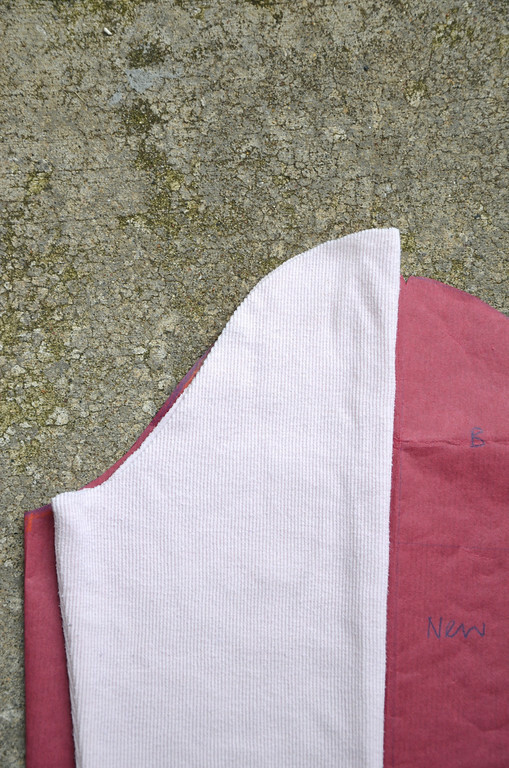 Then I sewed in the side seam (and shaped the waist a bit). 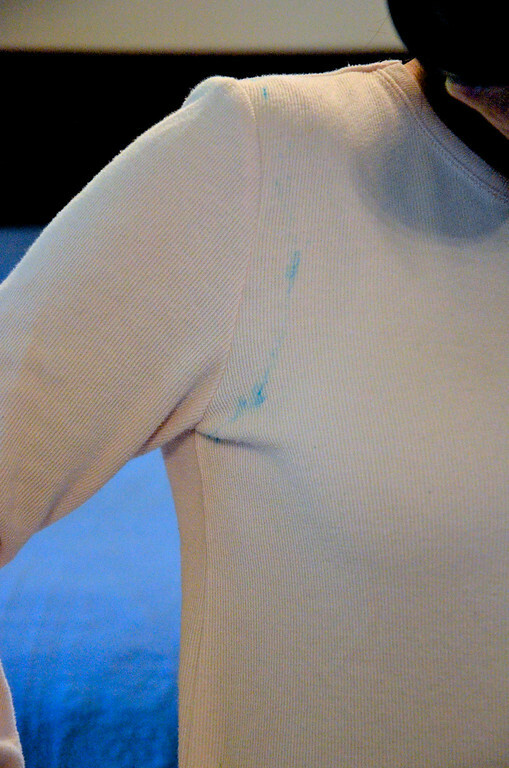 The last thing I did was to shape the front armscye (that's what the blue marker lines are). This re-enlarged the armscye, but just a little. Believe it or not, the front armscye was almost identical to the back when I took the sleeve off. What a violation of basic garment rules. The combined effect of these three alterations is an overall smaller armscye. Hurrah. Next we needed to correspondingly reduce the size of the sleeve cap so that it would fit the newly-shrunken armscye. 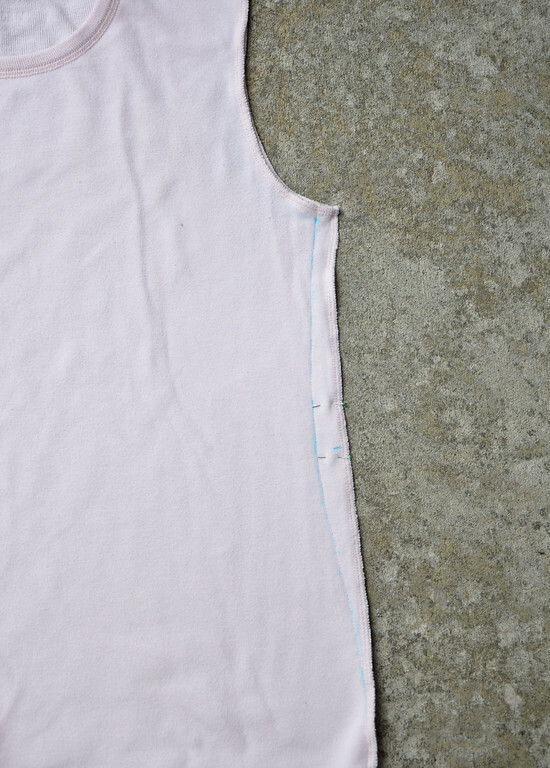 For visual effect, I lay the old sleeve against half of my sleeve sloper (which is what a good sleeve cap for me should look like). If we aligned the top of the sleeve caps, the old sleeve looks skinnier/smaller than my sloper. This is misleading! But let me stop playing the fool already, and do it properly so you get what I mean. 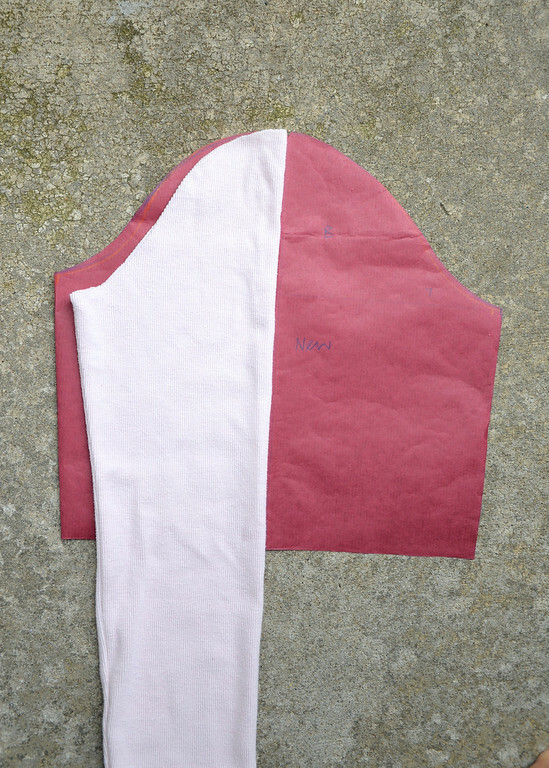 The right way is to line up the bottom of the sleeve cap instead (where the sleeve joins the side seam of the garment). Behold - the sleeve cap itself is about the right width except that the top is too high/pointy. Remember what this too-high sleeve cap looked like as a sleeve? Hands up, those who know why, if you have a garment you like that has shoulder pads, you cannot just remove the shoulder pads and wear the garment? Answer: The sleeve and shoulder slope are always cut differently for the inclusion of shoulder pads. It is almost as if they are cut to fit a person with squarer (i.e. less slopey) shoulders. If you remove the shoulder pads, the sleeve will look a bit like the picture above. Now you know why tailors will roll their eyes if you bring in an old jacket and ask them to "just unpick out the shoulder pads". So back to our alteration. 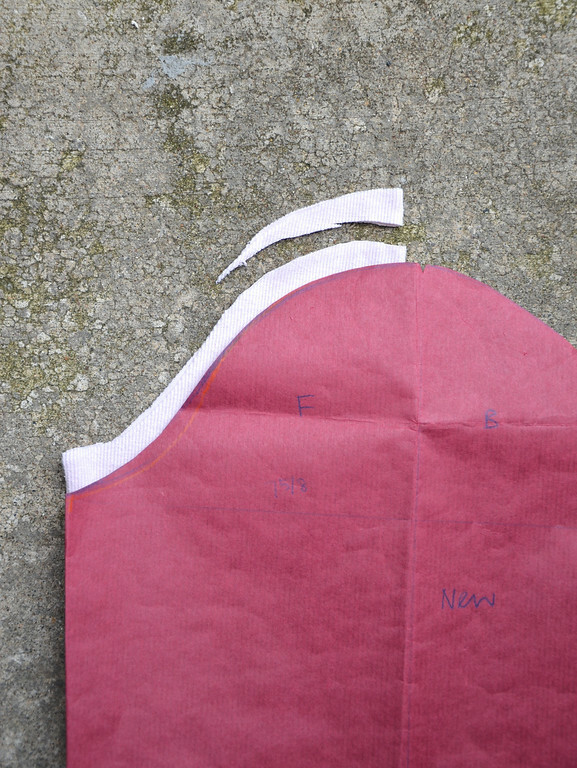 Let's trim off the sticky-out top bit of sleeve cap so that it now matches the curve of the sloper pattern. The whole sleeve cap, in addition to being of a better shape, is also reduced in size, so that it now fits the smaller armscye. as compared to the other sleeve, which hadn't been altered yet. Here are the two sleeves juxtaposed on the same garment, for your analytical pleasure. The one on the left (my right sleeve) is the old sleeve; the one on the right (my left) is the altered sleeve. 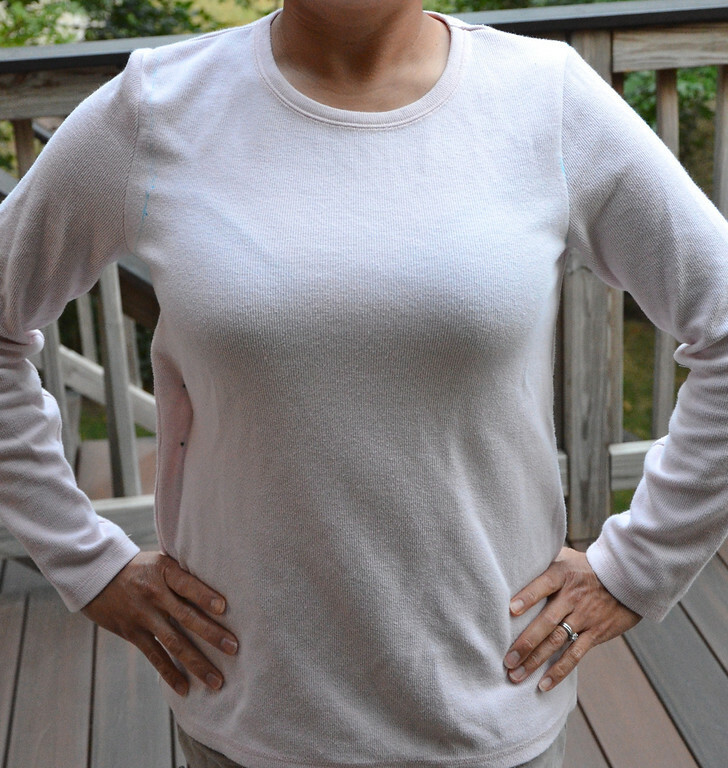 Here is the final garment, with its shoulders re-sloped and both sleeves redone. I know, I know. You can't believe I wore that shirt (and its two sisters) for more than a year. Me, too. The shame. Bust darts which are the wrong size i.e. too long/short and/or too deep/shallow. These are not difficult to change. You unpick the darts, try on the garment and pinch the fabric where the new darts should be. If you already have your personal sloper/basic block, you can just use its dart positions as the new ones. If you google it, you can probably also find many tutorials for dart-repositioning. Here is a conceptual one on bust darts and princess seams which I did long ago. Altering the shoulder/armscye region is conceptually more challenging than dart-changing, and there are fewer tutorials available on it, which is why I picked it to show you today. Next up: some hems and cuffs! 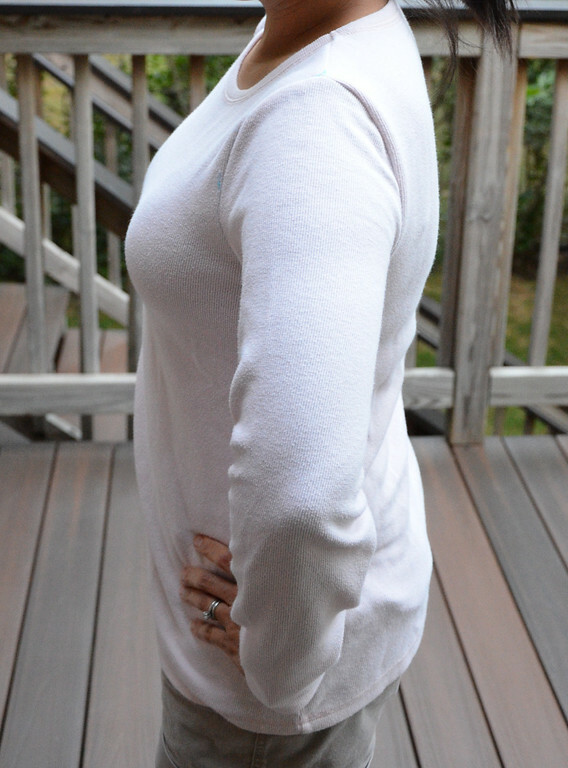 It's amazing what a small alteration can do! Thanks so much for sharing your wisdom. I'm taking notes. Oh how I wish I'd kept that knit top that was the perfect color but just didn't fit correctly! Thanks for the tutorial, now I can confidently buy thrift store tops that are the right color but needs some minor adjustments. You're a genius. Thank you. I am hoping to use this on my jacket with football player shoulder pads! What a great solution! And thank you so much for sharing this series! I have them all bookmarked for when I find time to learn! Does this technique make the sleeves shorter? Is there any chance you have a solution for those of us whose arms are (nearly) always too long for shirts? Wow. The before and after comparison is really remarkable. I have tried to do this before (I have small shoulders and am narrow at armpit-height) with not as great results, so I really appreciate you laying out the order of alterations. Unfortunately I don't have a sloper so I don't have a good way to re-size the sleeve cap. MaryAnne: "Does this technique make the sleeves shorter?" Not significantly. At least, the armpit-to-wrist distance is unchanged; it's only the sleeve cap that's been de-point-ed. For too-short arms - if there is sufficient seam allowance at the armscye, you could try letting it out there, and gaining maybe a half inch or so. If there isn't a cuff and the wrist is just a simple hem, you could let that down, too. 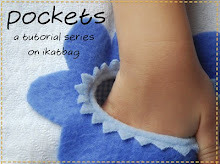 Apart from those two methods, you could cut the sleeve into two pieces at the elbow and insert an extra band of fabric. I've never done it, because it is too patchwork-ish, but it would work in theory. That is very helpful to see. I have so much trouble getting things to fit in the shoulder/sleeve/chest area. I can usually go to a shop and try on a top or a dress and if I grab it by the shoulders and raise it up about an inch above my shoulders, the bust darts and sleeves hit the right spot and the fit of the garment goes from frumpy to stylish. I've always wondered if it was possible to do an alteration to deal with this. Your example here looks like it might really help with things like knit shirts. But the more fitted things from woven fabrics with bust darts, I'm not sure. Any advice? Samantha: Without seeing these garments on you in person, all I can say is that you're probably shopping in the wrong store, or that you need to try a different designer line. I don't mean expensive-designer; what I mean is more like "if Target doesn't work, switch to Kohls or Old Navy". 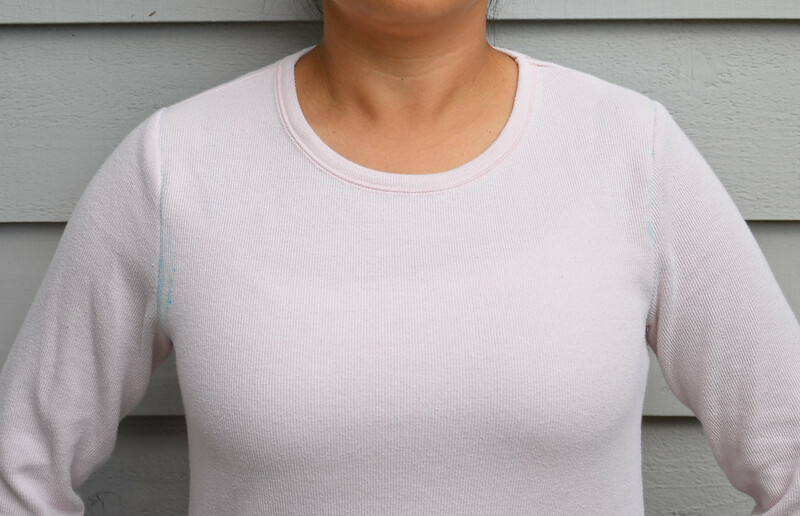 I cannot wear tops from Target in any size, because they are cut for slenderer figures, bodice wise, but I can wear tops from Kohls, for instance, and Old Navy. Bust darts are actually much easier to change than sleeve/armscyes. Knit tops seldom have darts, but wovens should have them. I would never wear a dress (unless it is bias-cut) that has no bust darts. Regardless of how modern or "summery-flowy-roomy" it is, it needs darts if you are a B cup and larger. Otherwise it either stretches across your chest or looks like a tent. So here's the summary: if the garment fits in the shoulders and sleeve cap area but the darts are wrongly positioned, you can buy it and move the darts. That's an easy alteration. If the garment does not fit in the shoulders and sleeve cap area, it may not be worth buying at all, even if the darts look right. But then, look who's talking - me, the person who wore hideous shoulders threefold, for more than a year. 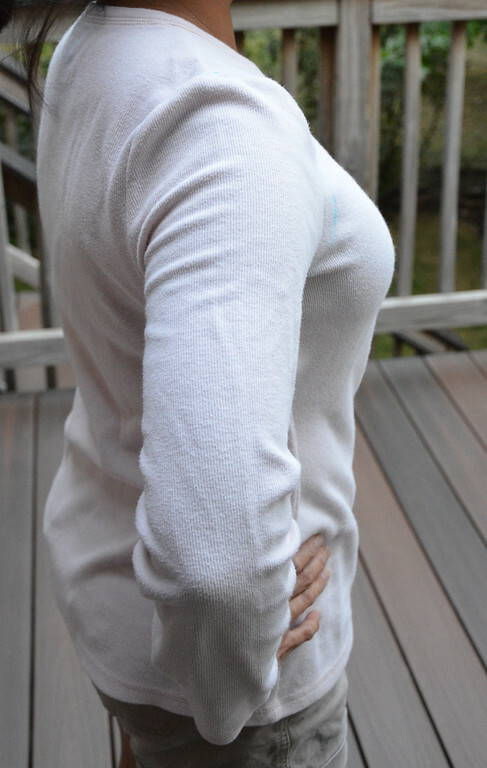 I'm trying to do the same thing with my sweater, but I've never sewn clothes for myself - so I have no idea what *my* armscye size/pattern would be. I've checked your tutorials, but haven't found it yet - is there a tutorial for that part? It's for a child, but the principle is the same for an adult armscye. What a big improvement to the shirt! Thank you for sharing! 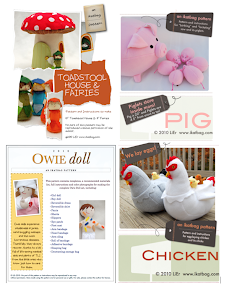 :) Now I just need to make my own slopers. . . .
Ha! I just bought two shirts without trying on for the very same reason--nursing a baby and they were cheap! Got home, and the shoulder/sleeve areas are HIDEOUS. I really can't picture what the shape would be of a person who actually fit them. Gah. :) Anyway, I'm glad I had read this post before, because I immediately thought of it and will try to rectify the situations. Thanks for the tips--never would have figured this out on my own! I've just seen this on pinterest and at first I couldn't believe you were going to all that effort to fix a tshirt... I would not have believed it would make so much difference if I hadn't seen them both on the same tshirt! Think I'm going to have to do my entire wardrobe now! You did a great job! Great post!! Sleeve heads and armscyes are always à big mistery to me. You actually lit a bulb in my head!